It is very important to determine this relationship prior to any hiring is done. 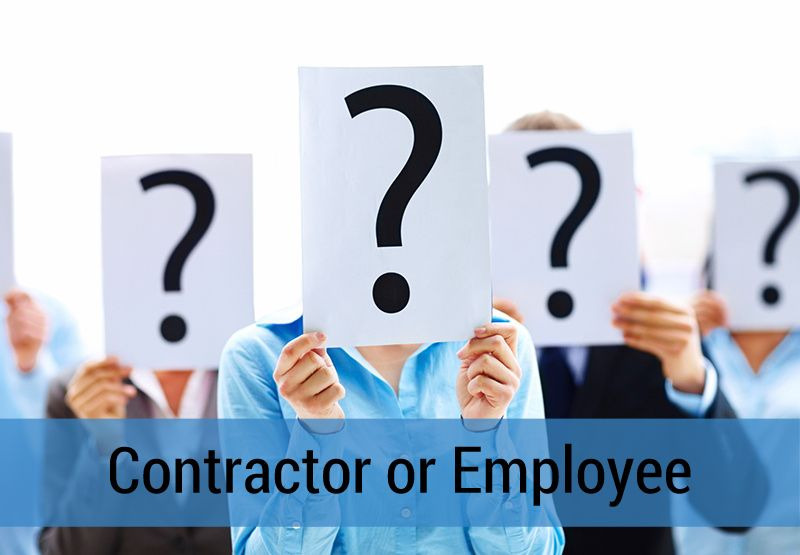 There are a lot of expense savings in hiring a contractor (self-employed individual), however if its determined down the road this contractor is actually considered an employee by CRA you will have much more expenses, taxes and penalties to remit. Is it a Contract of service (employment contract) or a Contract for services? Can you clearly identify when and where the work or services have to be done (employee)? Or can there be a negotiation and or compromise on both sides (contractor)? Can the individual get someone else to perform the work (contractor) or the worker has to perform the work assigned (employee). Is there a designated area for the individual (employee)? Or can they work independently as long as the services is completed in the agreed timeframe (contractor). Are you providing the tools and equipment for the work (employee)? Who owns the equipment? Who is liable for any damages that may result in financial loss? The contracted individual should have his or her owns insurance for these situations. We found a great guide provided by Wage Point here. You’ll find all the details of each side of the employment and also how to handle special situations like transitioning contractors to employees. Always contact an employment lawyer and CRA to help you avoid costly penalties and future audits down the road.